Learn how quotes automatically become invoices when accepted. When you send your client a quote, it will automatically become an invoice if your client accepts that quote. There is no need for you to manually generate an invoice after a quote is accepted. An invoice will automatically appear in their client portal with a red number 1 symbol next to the Invoice tab notifying your client that attention is needed there. 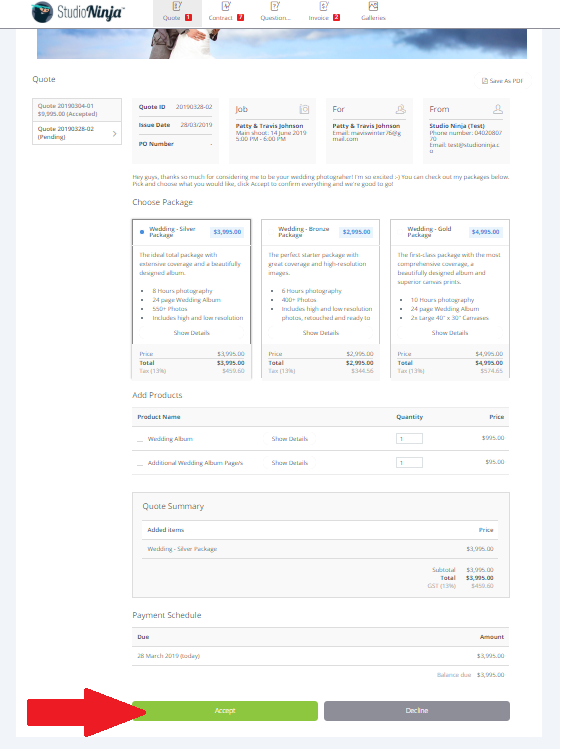 A new invoice will be generated in the job profile page. Alternatively you can manually accept a quote. Go to the job profile page, click on the 'View' button in the Quote box and then click the 'Preview' button. 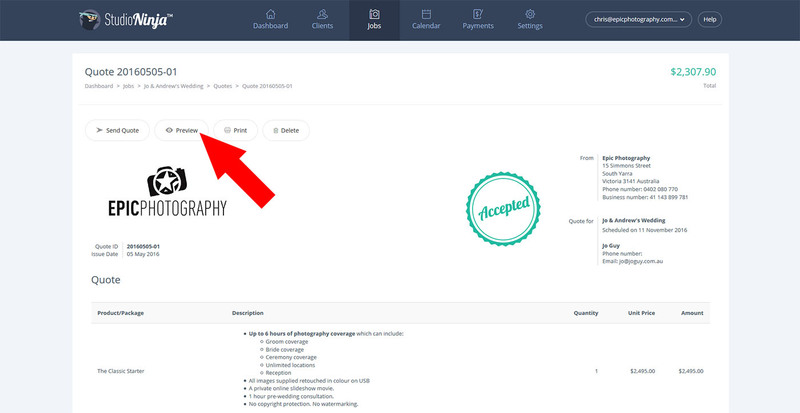 This will take you to the client portal where you can manually click the 'Accept'. Doing this will also convert your quote directly into an invoice.